All roads lead to Rome it is destiny even once in your life to visit the capital of Italy or the eternal city as poets and writers named her. 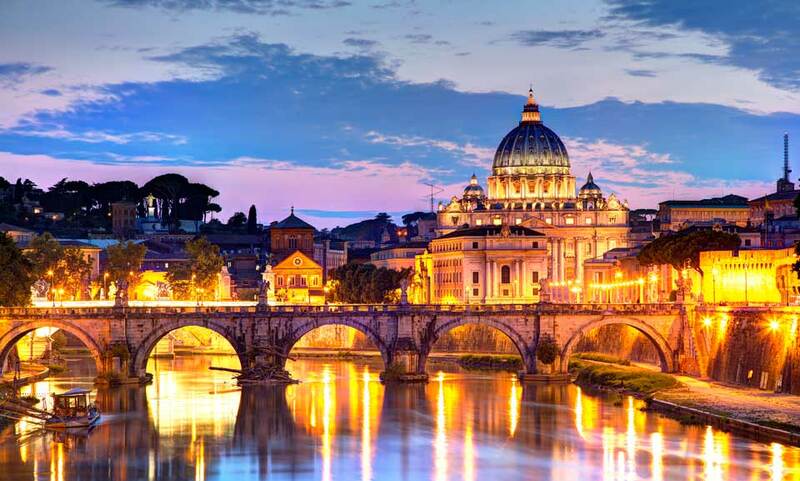 Rome is a centre of economic and touristic activity. A modern city which in the some time holds her important historical past inside her, and manages to enchant the visitor. The city's atmosphere will travel you back and forth in time. It is easy to lose truck of time in Rome, so take paper and pencil and start planning your trip.The first thing in your to-do list is titled transportation. Thanks to a well establish network a simple click allows you to travel in and out of the city with the maximum ease. Visit our website www.vanrental24.com book your minivan on- line and get ready for the ultimate travelling experience. Van hire is the absolute travelling luxury that everybody deserves. Minivan rentals allows you to create your own sightseeing tour based on your mood and your set of rules. Its 24 hour availability offers the flexibility you always wished for. The landmark of Rome is of course the “Colosseum” is the biggest amphitheater that ever built in the Roman Empire. It was used for gladiator contests and public events and attracts more than 4,5 million visitors per year. A visit to Roman and Imperial forums is essential they were the meeting points in ancient Rome. St. Peters Basilica (the Vatican) is the symbol Catholicism and a place from where everyone who visits Rome passes from. It is a church with great historical value. The museum of the Vatican is a living treasure. Must sees inside the Basilica is Michelangelo's Pieta and a 29 metres tall baldachin held by four immense pillars, designed by Bernini. Your feelings will guide you to the famous Trevi Fontain (Fontana di Trevi) the largest baroque fontain that attracts thousands of visitors. 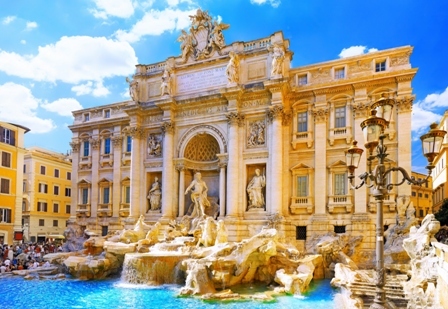 They say that everyone who throws a coin into the fontain always returns to Rome. A monument that has been preserved almost intact is the Pantheon the mass concrete dome is so prestigious that words cannot describe it. Let your steps lead you to Spanish Steps (Piazza Di Spagna). It is a stairway of 138 steps from up there you have an incredible aspect of the city and is also a famous meeting point. Piazza Navona is the most live square of Rome it Iis filled with important architectural creations by Gian Lorenzo Bernini; Francesco Borromin and others. Piazza Navona is also ideal for a night stroll. You can taste the traditional Italian pizzas in one of the many restaurants around the area or even enjoy an extraordinary Italian cappuccino and finally try the variety of ice -cream flavors offered. Many businessman from all the rest of Italy and from all over the world visit Rome. The city in its interior has enterprises that play a significant role in business developments and often are leader brands. For these people a 12 seat minivan is a one way street. They are constantly on the road and always want to be in touch with their partners Van Hire is their mobile “headquarters” they can carry anything they want with them so that makes them feel a great sense of independence. Travelling with minivan rentals is a pleasant break from the chaotic rhythms of the daily professional routine. You can actually enjoy even for a little while Rome's beauty even if you are here for a business trip.